October represented a transitional time for the region’s birds. Many of our summer birds have now departed for wintering grounds, which means we won’t be seeing them again until April or May of 2016. 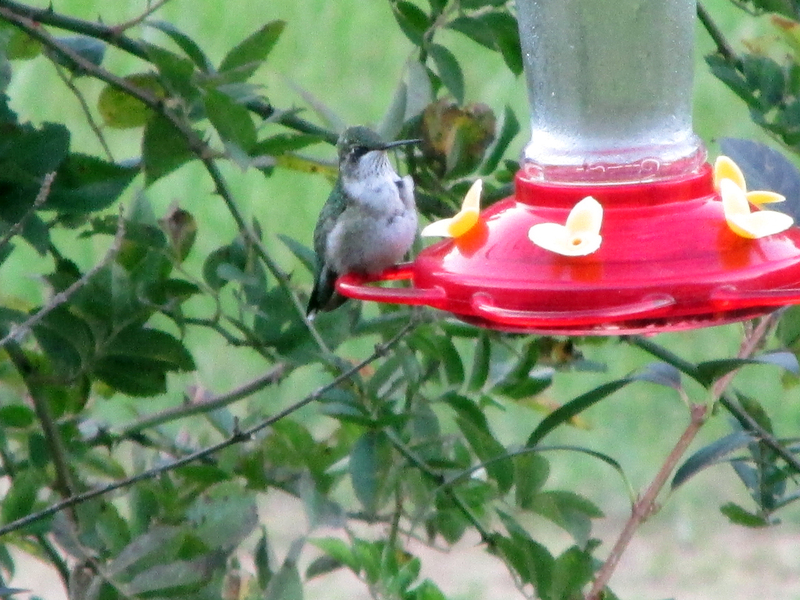 The last Ruby-throated Hummingbird of 2015. I saw hummingbirds daily in my yard during October through the 17th day of the month, when I saw only a single bird at the feeders. The following day no hummingbirds appeared in the yard. I am still hanging sugar water feeders in the unlikely chance I might attract a visit from one of the Selasphorus hummingbirds, a genus of these tiny birds that spends the nesting season in the western United States. A few of these species appear to migrate through the southeastern United States each fall and early winter. Rufous hummingbird is the species most likely to make an appearance, but other species — Allen’s hummingbird and black-chinned hummingbird — are a possibility. 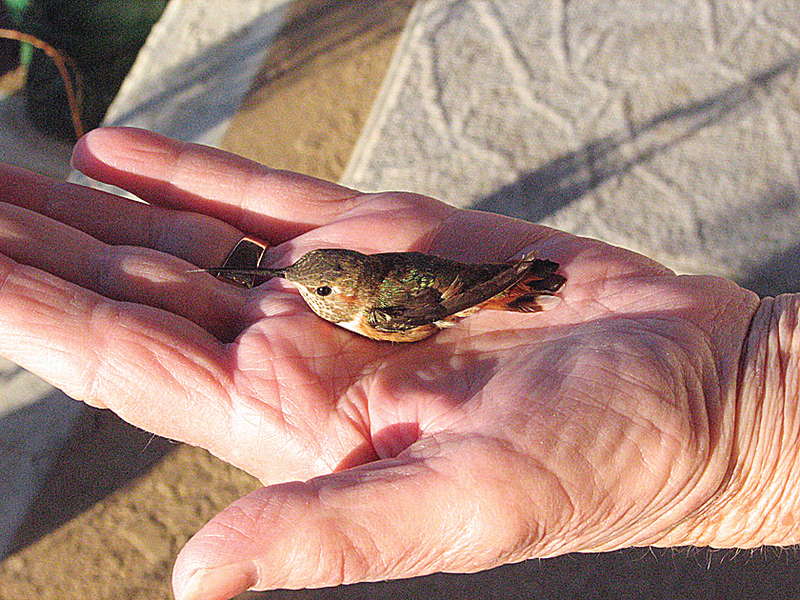 A Rufous Hummingbird I observed being banded several years ago in Hampton, Tennessee. These “winter” hummingbirds are easy to recognize. Their plumage is more brown than green, making them quite distinguishable from the usual ruby-throated hummingbird, which is not usually present in the region after the end of October. Most of the warblers have also departed. I saw a couple of common yellowthroats on Oct. 10, but they represented the last gasp of warbler migration. Most of the warblers winter in Central America or the Caribbean, although a few travel only as far as Florida. The Yellow-rumped Warbler is one of the few warblers that remains in the region for the winter months. Of course, there’s always an exception to the rule. 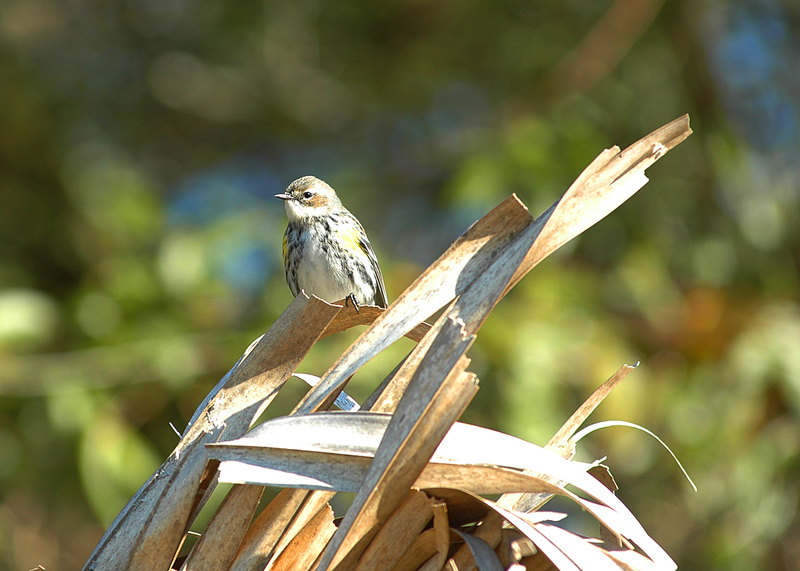 The aptly-named yellow-rumped warbler is a winter resident throughout much of Virginia and Tennessee. I had a couple of yellow-rumped warblers in the yard on Oct. 25. The winter diet of this warbler includes the berries of poison ivy, so the bird helps with the spread of this noxious plant. I often think of October as the season for sparrows, and this year proved no exception. Three different species marked their return during October. 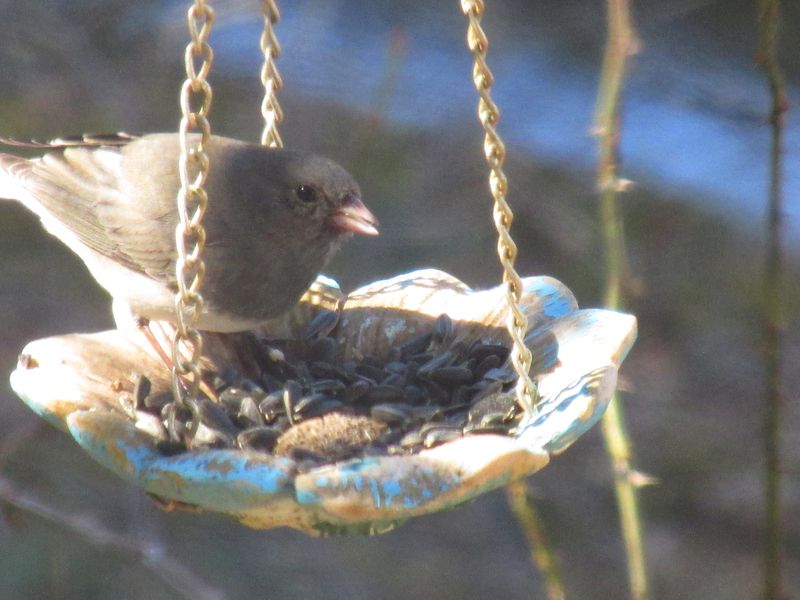 The first junco showed up this year on Halloween. Sheila Boyd, a Facebook friend who lives in Marion, North Carolina, sent me a message to let me know she saw her first juncos on Oct. 29. 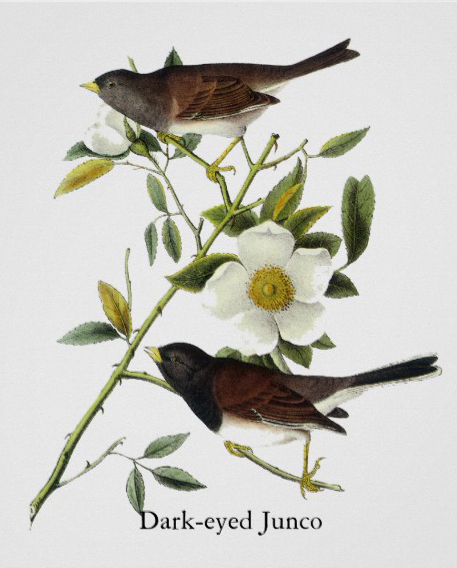 The Swamp Sparrow is most often found in wetland habitats. 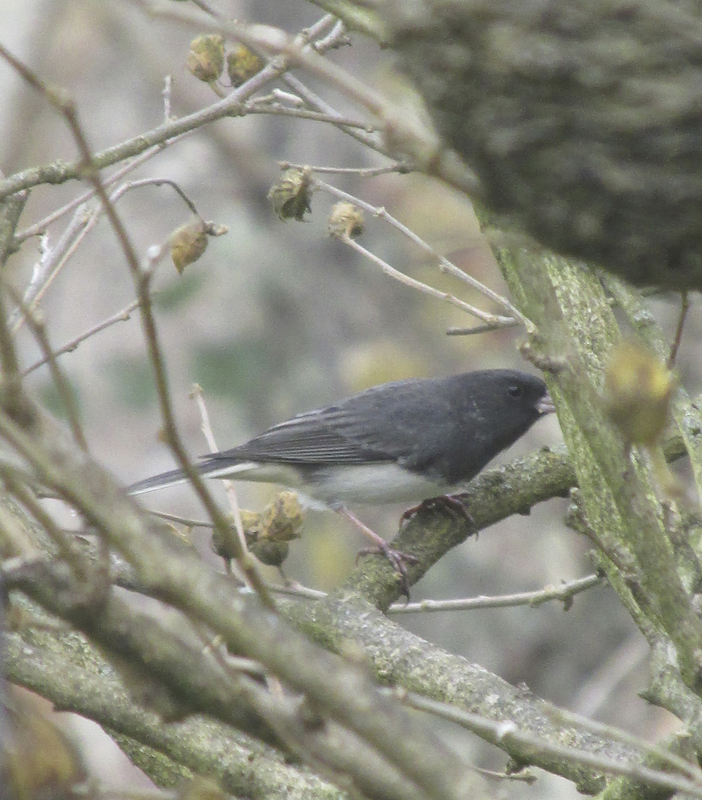 My junco sighting on Oct. 31 followed observations earlier in the month of some other wintering sparrows. I have allowed a stand of cattails to grow unmolested on my property, and now my action is paying dividends. I’ve seen numerous swamp sparrows in my small cattail marsh, beginning with one that I saw on Oct. 11. The cattails also persuaded a marsh wren to pay a visit on Oct. 4. Marsh wrens and swamp sparrows are not the only birds fond of cattails. 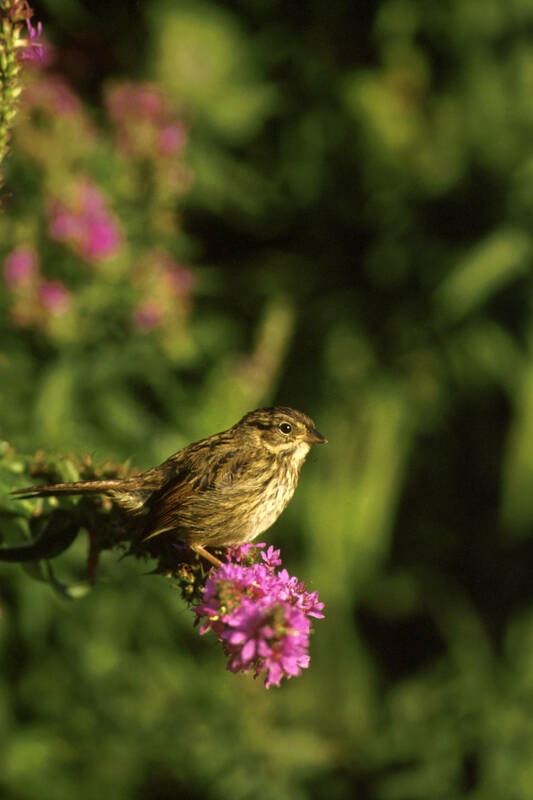 These plants also attract birds as diverse as rails and snipes, as well as red-winged blackbirds, common yellowthroats and various waterfowls. 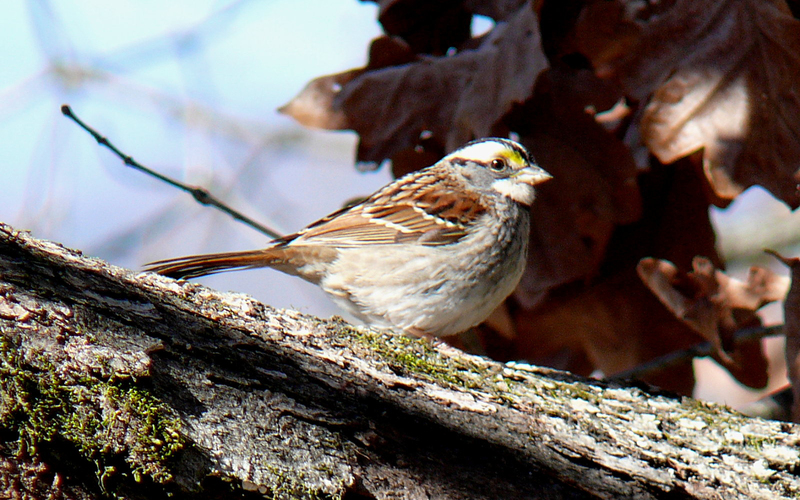 White-throated sparrows showed up on Oct. 15, which is fairly typical for this winter resident. The numbers of this attractive sparrow have been increasing since that date. Photo by Ken Thomas A White-throated Sparrow shows off its namesake white throat. While the shy swamp sparrows usually maintain a reclusive presence in the cattails, white-throated sparrows and dark-eyed juncos are regular visitors at my feeders once they arrive. 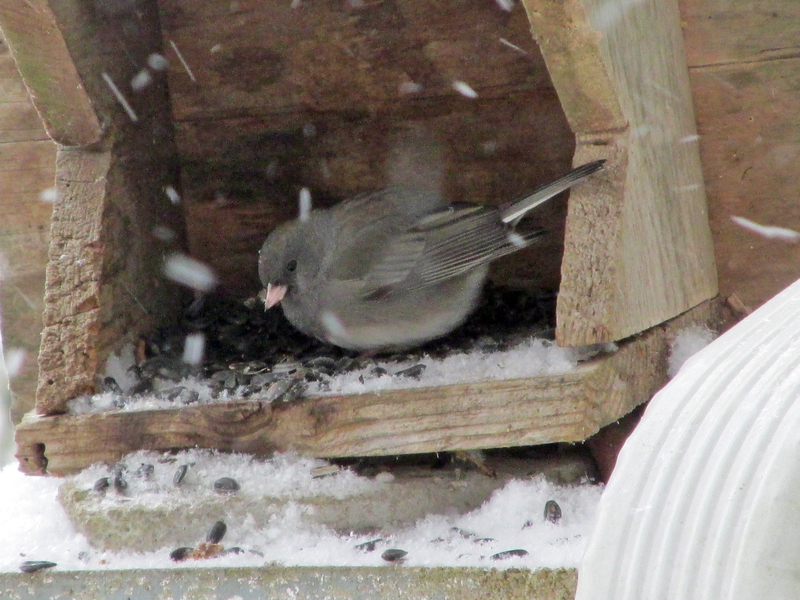 Both the junco and the white-throated sparrow prefer to feed on the ground beneath the feeders. A few other sparrows will visit feeders, including song sparrow, field sparrow, chipping sparrow and white-crowned sparrow. 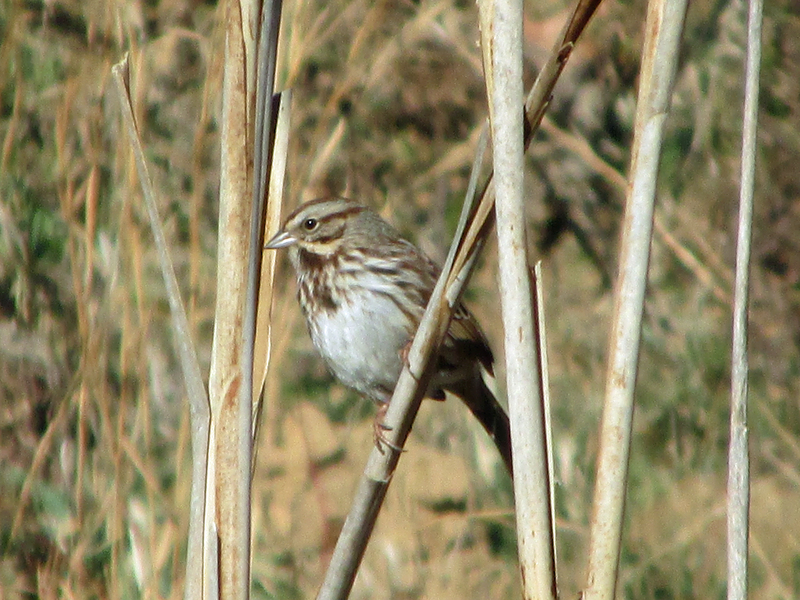 A Song Sparrow perches on a dry cattail stalk. Of course, the real entertainment from our sparrows comes from their frequent visits to our backyard feeders. When these birds flock to a feeder and began a furious period of eating, I don’t even have to glance skyward or tune in the television weather forecast. I know what they know. Bad weather is on the way! With our winter birds beginning to arrive, I’d love to hear what readers are seeing at their own feeders. Send me an email at ahoodedwarbler@aol.com to ask questions, share observations or makes a comment. This entry was posted in Birding, Birds, Bryan Stevens Feathered Friends, Carter County Compass, Elizabethton Star, Erwin Record, Fall migration, Juncos, Warblers, Winter birds and tagged Birding, birds, Bristol Herald Courier, Carter County Compass, Elizabethton Star, Erwin Record, Fall migrants, Feathered Friends, McDowell News, Our Fine Feathered Friends, Ruby-throated Hummingbird, The Erwin Record, Winter birds on November 15, 2015 by Bryan Stevens. Photo by Ken Thomas The Dark-eyed Junco, also known by the affectionate name of “snow bird,” is a widespread winter resident in backyards offering feeding stations. I wrote my first “Feathered Friends” column on Sunday, Nov. 5, 1995, which means this weekly column marked its 20th anniversary this past week. This weekly column has appeared over the last 20 years in a total of six different newspapers. “Feathered Friends” has been appearing in The Erwin Record since October of 2003. As “For the Birds,” the column has appeared in the Bristol Herald Courier since June of 2014. The column has also been a great conduit for getting to know other people interested in our “feathered friends.” I always enjoy hearing from readers, and I hope to continue to do so in the coming years as well. 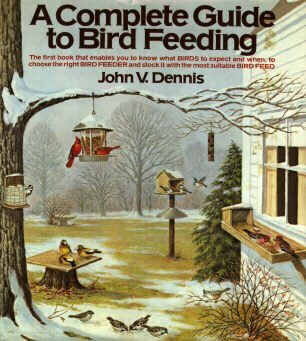 The book, “A Complete Guide to Bird Feeding,” is a classic for those interested in birds and advice on how to feed them and attract them to our yards. 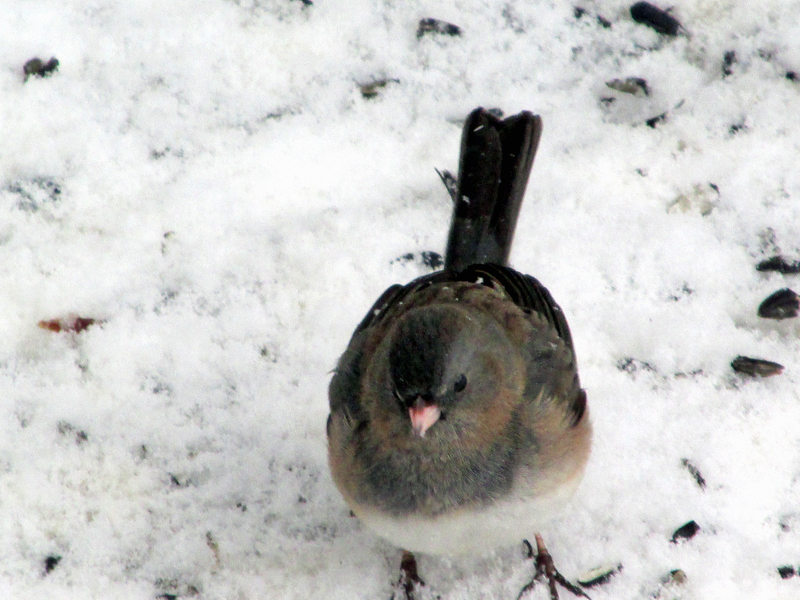 Photo by Ken Thomas Dark-eyed Juncos prefer to feed on the ground beneath feeders. Most people look forward to the spring return of some of our brilliant birds — warblers, tanagers and orioles — and I must admit that I also enjoy the arrival of these birds. 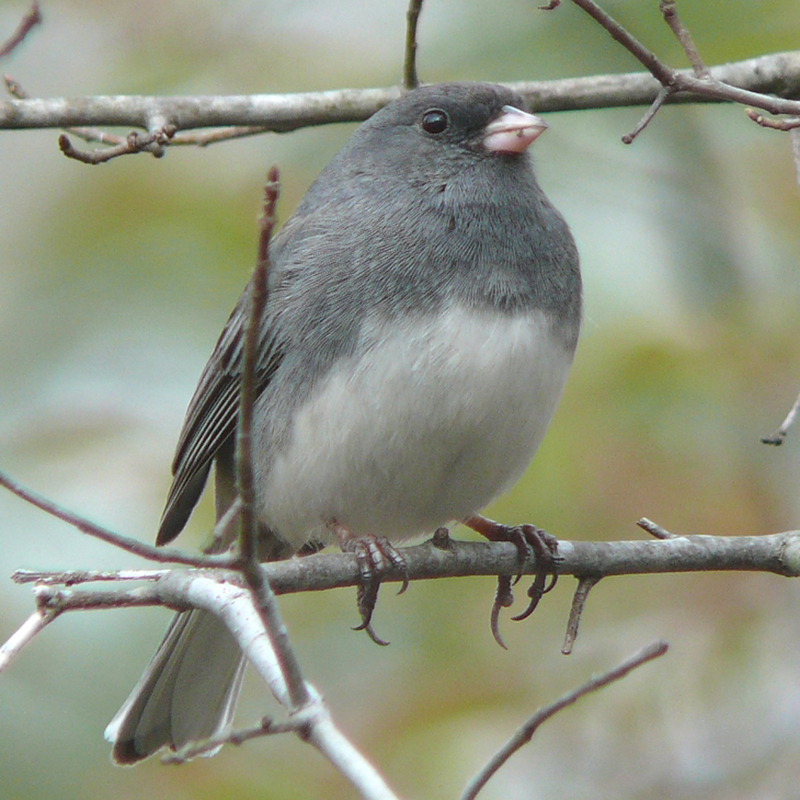 The junco, in comparison to some of these species, is not in the same league. 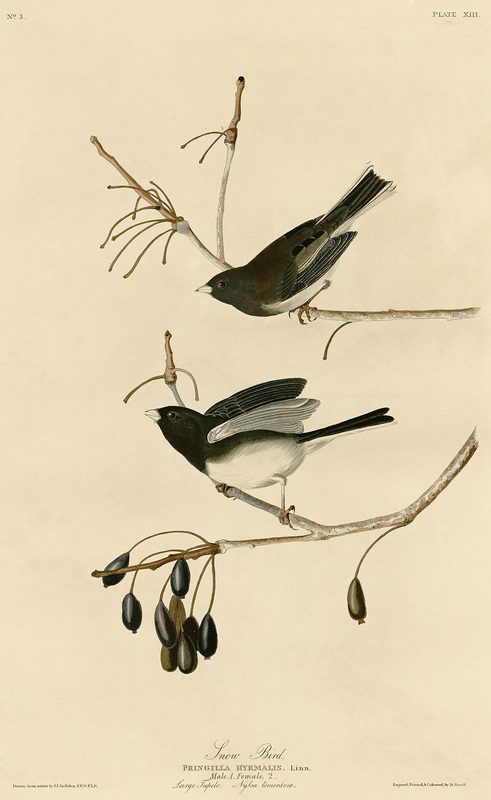 John James Audubon, an early American naturalist and painter, painted these Dark-eyed Juncos. Photo by Bryan Stevens This Dark-eyed Junco arrived in Hampton, Tennessee, on Oct. 31, making it the first junco of the 2015-2016 winter season in the author’s yard. 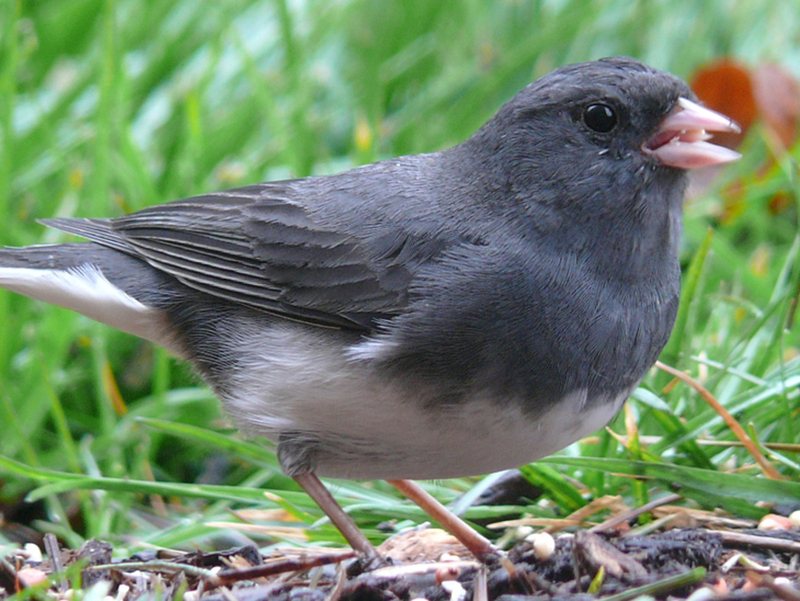 The first junco at my home this fall showed up this year on Halloween. Sheila Boyd, a Facebook friend who lives in Marion, North Carolina, sent me a message to let me know she saw her first juncos on Oct. 29. 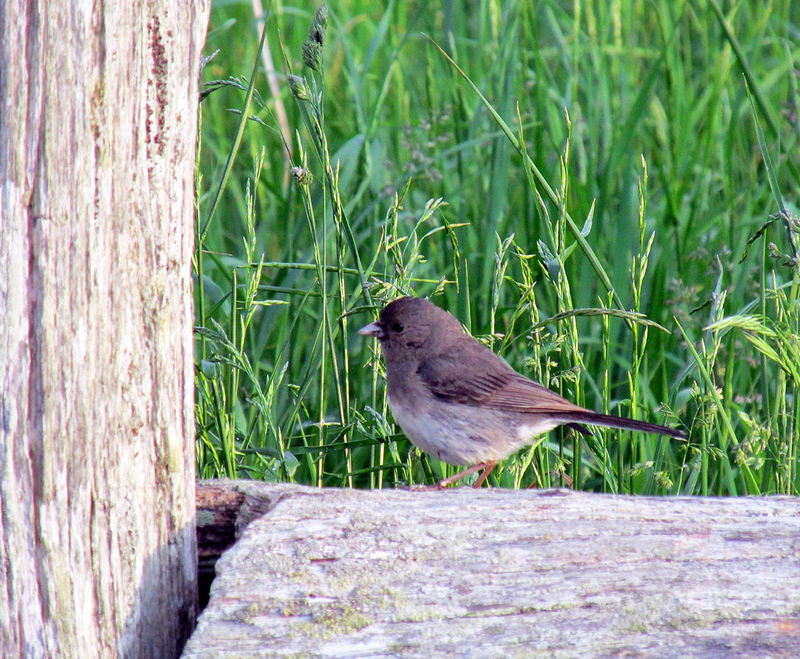 My junco sighting on Oct. 31 followed observations earlier in the month of some other wintering sparrows. This entry was posted in Bryan Stevens Feathered Friends, Dark-eyed Junco, Juncos, Snow birds and tagged Birding, birds, Bristol Herald Courier, Bryan Stevens, Carter County Compass, Dark-eyed Junco, Elizabethton Star, Erwin Record, Feathered Friends, Feeding birds, Juncos, McDowell News, Our Fine Feathered Friends, The Erwin Record, Winter birds on November 8, 2015 by Bryan Stevens.